Both as a showcase as well as in its larger reflection on associated issues at-large, the Documenta is regarded as one of the most significant and renowned exhibitions of contemporary art worldwide. Previously, a series of industrial containers had been employed by the Documenta and Museum Fridericianum to inform its audience on the content displayed. In order to adequately communicate both the display as well as the larger discourse of the event, the competition brief originally envisioned a large-scale structure including a wide range of public, performative, retail, and ancillary functions. In response, the project reappropriates the self-contradictory large-scale requirements of the brief by opportunistically building upon the controversial notion of a monolith itself: Paradoxically, a wall, even though explicit metaphor for physical partition, implicitly awakes desire and provokes examination. A wall is usually a solid structure demarcating an area. As an opaque large-scale thickened wall, the project proposes to physically divide one of the most central plazas in the city. At the same time, precisely because of its partition of an area at the urban scale, the intervention would visually awake desire and provoke examination. 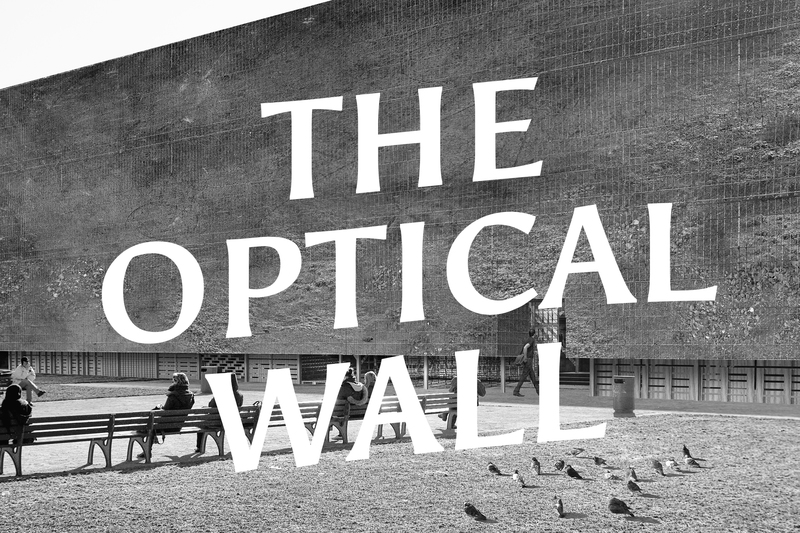 Equipped with cameras, telescopes, binoculars, and different types of lenses to observe moments in the environment, the project reconsiders the notion of a building as an optical device at the urban scale.